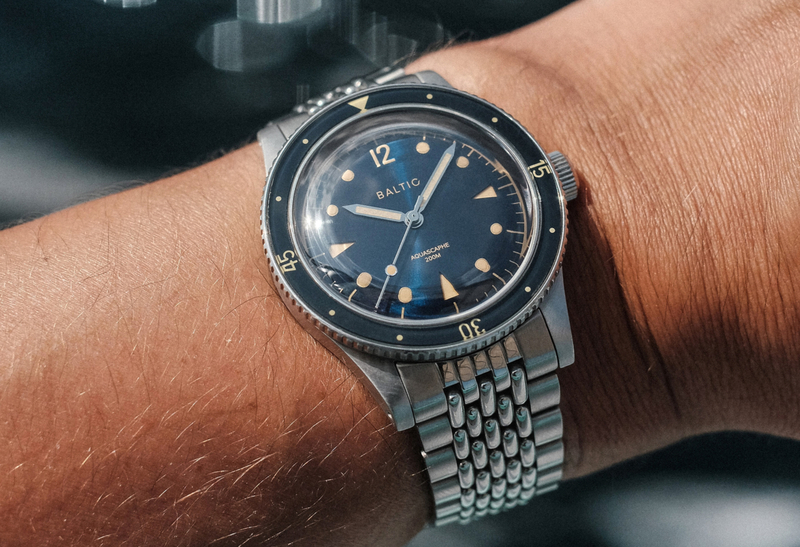 Baltic is a young watch brand that makes unique “neo-vintage” watch designs powered by accessibly priced Japanese movements. The French-based company successfully launched their first watch collection on Kickstarter in 2017, exceeding their goal by over $500K. At the moment Baltic is one of the hottest microbrand watch companies, and with no desire to stop the momentum they gained with the original watch they’ve created a second collection. 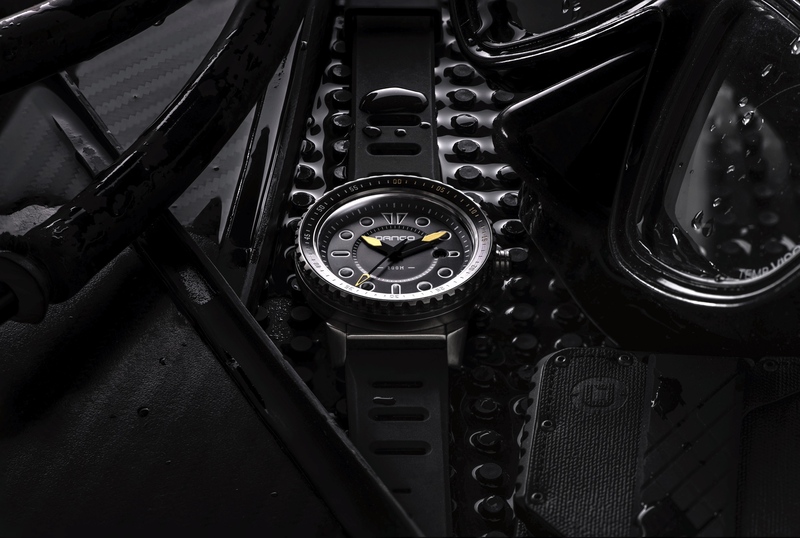 Baltic’s first dive watch, the Aquascape, was announced earlier this month and then became available for pre-order on Baltic.com November 21st. According to the company, the first 300 pieces will be numbered, and despite a delivery date well in to next year (June 2019) they sold out the first 300 within 27 minutes of opening pre-orders. Wonder what makes the brand so popular? From a purist’s perspective, the 39 mm diameter and 12 mm thickness (as well as the 47 mm length and 20 mm lugs) are ideal measurements. The dial which combines triangle hour markers that feature a sandwich construction, and printed indices, is aesthetically unique. 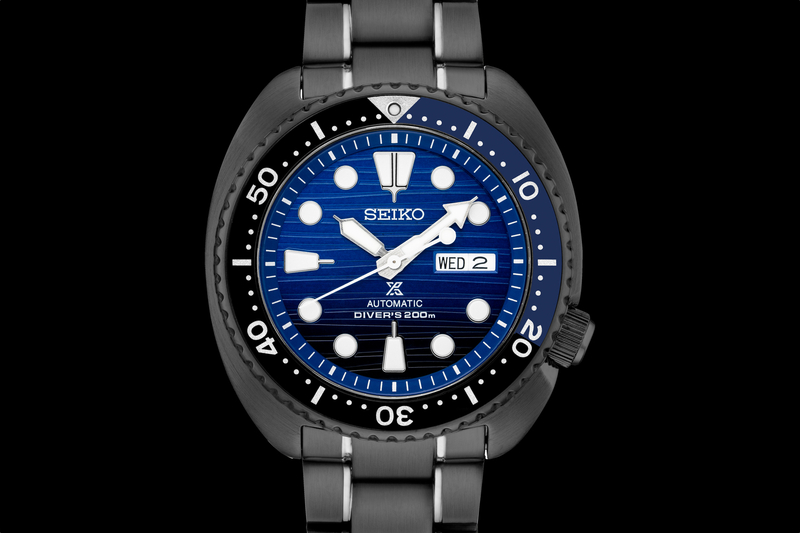 Even the unidirectional dive bezel is distinguished by a sapphire crystal insert compared to aluminum or ceramic for most dive watches. Pencil-shaped hour and minute hands and a lollipop second hand are well executed within the design. 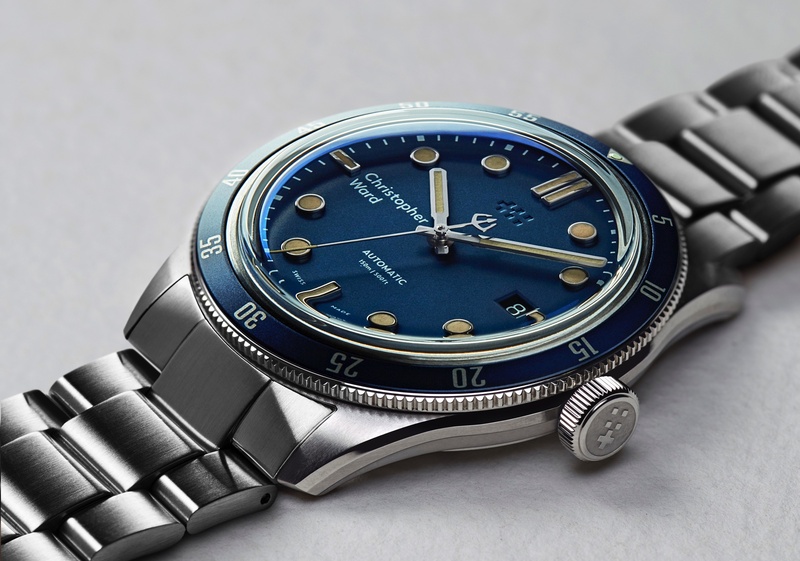 Overall, the classicly appealing retro dive watch and low price have created a high demand, and that should come as no surprise considering the sales results produced with the first watch. The Japanese-sourced Miyota 9309 movement which powers hours, minutes, and seconds (42-hour power reserve), is not spectacular in regards to accuracy and will lose or gain more time than an ETA/Sellita. But the idea here is that accuracy and movement origin does not matter to the consumer as much as a lower price point and good overall design. Baltic is offering so much for your money here, supported by significant sales already within less than two years. The Aquascape is available in a steel case with a blue bezel and dial, with gilt markings and hands, or with a black dial and bezel, with either white or gilt markings and hands. Water-resistance is 200 meters. The pre-order price is $550 with a tropical rubber strap and $626 with both a rubber strap and stainless steel beads-of-rice bracelet.